Summary: Retired FBI agent Ryan Hardy (Kevin Bacon) is pulled back into service to find escaped serial killer Joe Carroll (James Purefoy). Some plot twists seem implausible at best, others are overdone or gratuitous. But some implausibility comes with the horror/suspense genre, and there's no question Williamson has mastered it--just as there's no question that the match of wills between the wounded Bacon and malevolent Purefoy is exceedingly well played. If you can make it through Monday's first episode of Fox's much-anticipated new suspense drama 'The Following,' you have some intense, but high-quality, television ahead. [Purefoy's and Bacon's] performances--and scenes that focus on Carroll's killer minions that I won't talk about lest I spoil things for readers--are the strongest parts of the series and overshadow the weaknesses. Those include numerous plot holes and some sketchy logic, plus Williamson's annoying habit of beating us over the head with the Poe references. This is a genuinely scary and unsettling series. Nothing in this pilot promises how fascinating the show will ultimately become, and unfortunately, the show is more efficient than truly good. ... The first four episodes contain no aesthetically pleasing shots or sequences, just tedious coverage of talk and action, and too many of its 'shocking' moments are dependent on visual/aural shortcuts. ... Nevertheless, The Following fascinates, thanks to soulful lead performances by Bacon and Justified's Natalie Zea (as Carroll's ex-wife) and the nervy way it develops and sustains its central flourish. The Following is a bummer of significant proportions. Not that it's bad--it's not--but it's bleak, sordid, blood-spattered and creepy (though not necessarily always "creepy" in a good way, like "The Walking Dead"). Despite its dour atmospherics and some attempts at higher-caliber acting from Kevin Bacon and a large ensemble cast, The Following is a trite, gratuitously violent exercise in still more stylishly imagined American horror stories. It is filled with melodramatic sleuthing that you've seen over and over. Enough is enough, isn't it? ADHD TV. With the series "24" started it all. Series where each second / minute a new surprising twist occurs. It is believed "X" as anADHD TV. With the series "24" started it all. Series where each second / minute a new surprising twist occurs. It is believed "X" as an accomplice. But it is not. Not yet. Later maybe, but think about it then again different. At the end she turns he / she might still by, or is the / the smartest, the even pulling the strings. Anything can happen. Every moment. Just horrible. Unbearable illogical. Example: The poor kidnapped child would be totally stupid already, not to remember what happened. Alone dese fact is unreasonable for the spectator. Kevon Bacon overtakes my opinion the same fate as Christopher Lambert. A good movie (Lambert: Highlander 1) in the filmography, the rest then scrap. Which was actually the only good movie with Kevin Bacon? It does not matter. 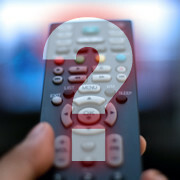 TV Cancellation Watch: Which Shows Are on the Bubble? Which current TV shows have the best odds of returning, and which are likely to be canceled? We survey a group of industry experts to predict the fates of Community, Happy Endings, Vegas, Go On, The Following, Nashville, Beauty & The Beast, and more bubble shows.